The next step in my project to better understand the nature of wildfires in the Gold Butte region, I need to define the study area. One of the goals of this project is to better understand the relationships between the natural occurring phenomena, biological influences, and abiotic features that come together to create the landscape or ecosystem. 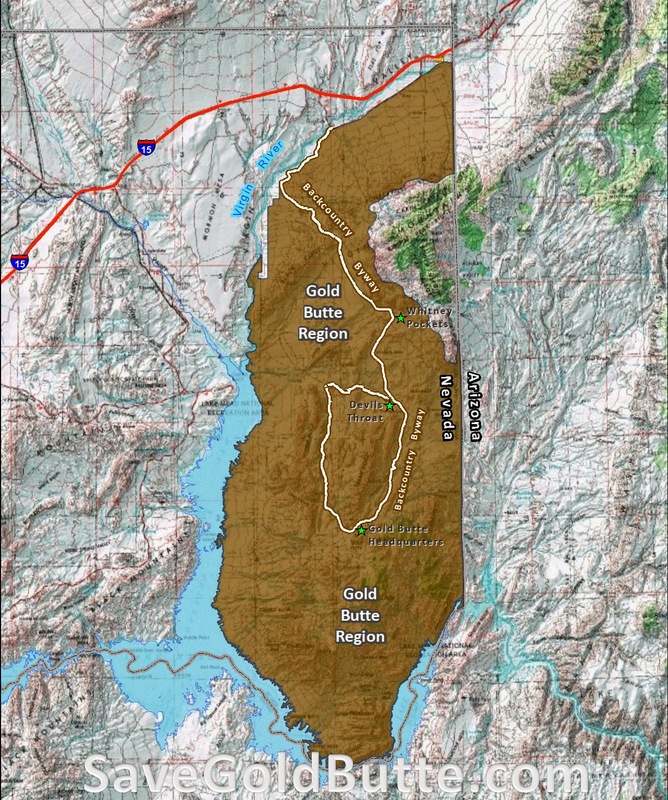 Over the years, Gold Butte has been expanded to encompass the entire region east of Virgin River to the Nevada\Arizona state line and down to Lake Mead to form the southern border. The Virgin River acts as both the Northern and Western border. 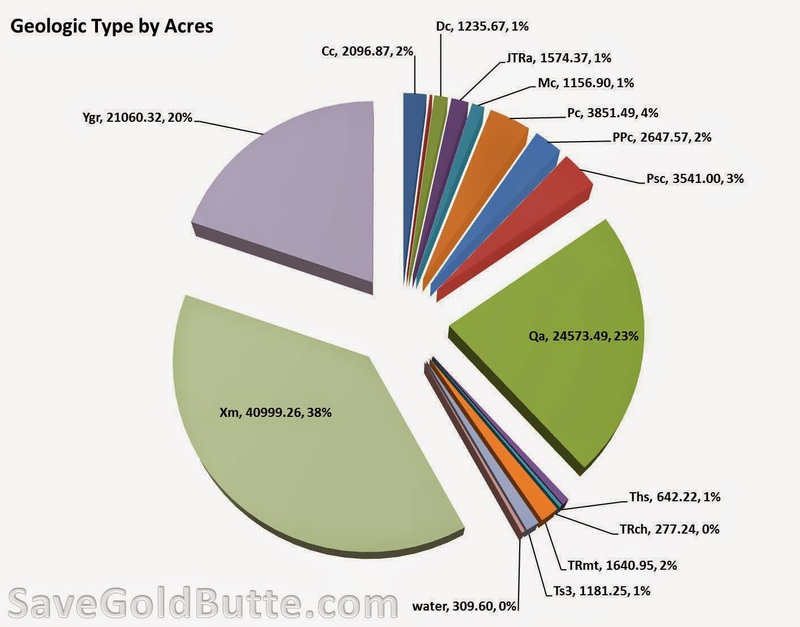 This area works out to be just under half a million acres. With such a large area, coupled with a good understanding of the landscape, I knew I needed to modify the study area down to more of just the desert ecosystem so as to not distort my model. While most people would probably classify the whole region as a desert, our understanding can change when viewed more closely. When you get up close to the region you notice there are different subsystems within the larger system. My case in point is the Virgin Mountain Range. 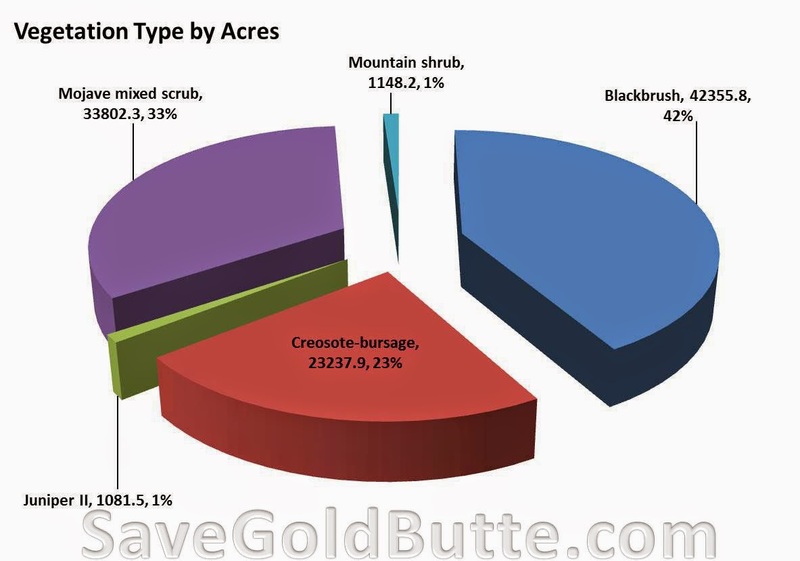 If you take just the area I talked about above, which I will refer to as the Gold Butte region, and look at different factors such as elevation, average rain fall, vegetation and soil types, you can clearly see that there are many smaller ecosystems within the larger system. 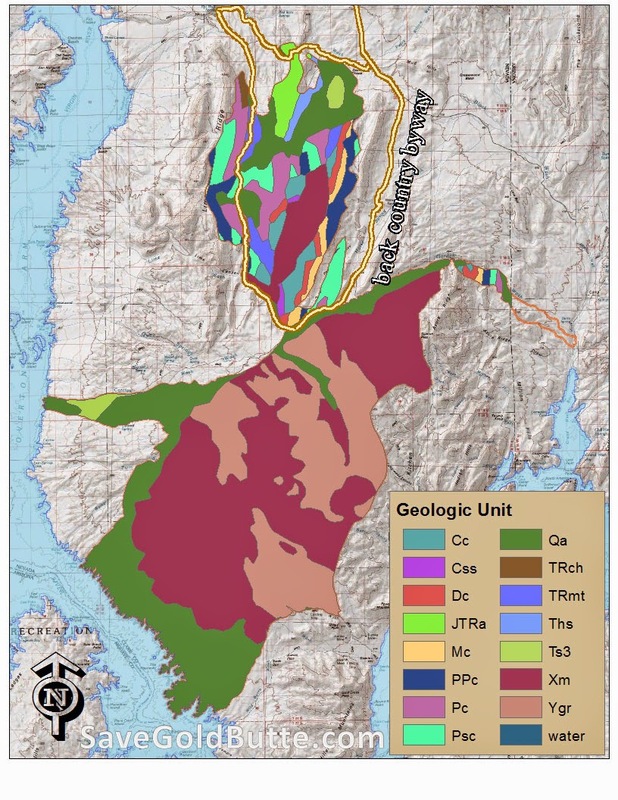 I also found other scientific data (Omernik http://www.epa.gov/wed/pages/ecoregions.htm ) that classifies ecosystems, where they also classified the Virgin Mountain Range to be a different ecosystem in relation to the rest of the Gold Butte region. 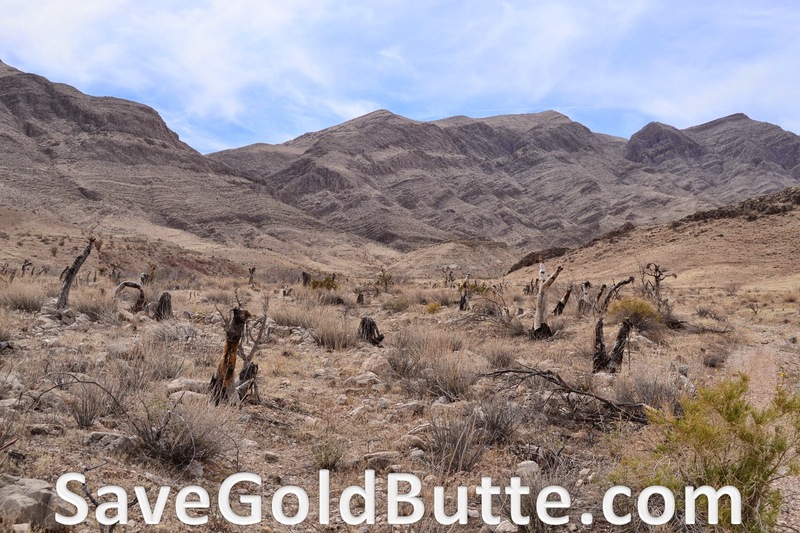 The majority of the Gold Butte region falls within the Mojave Basin and Range system while the Virgin Mountain range is part of the Arizona/New Mexico Plateau region. After analyzing the data I was able to define my study area so that I could create the best model possible. 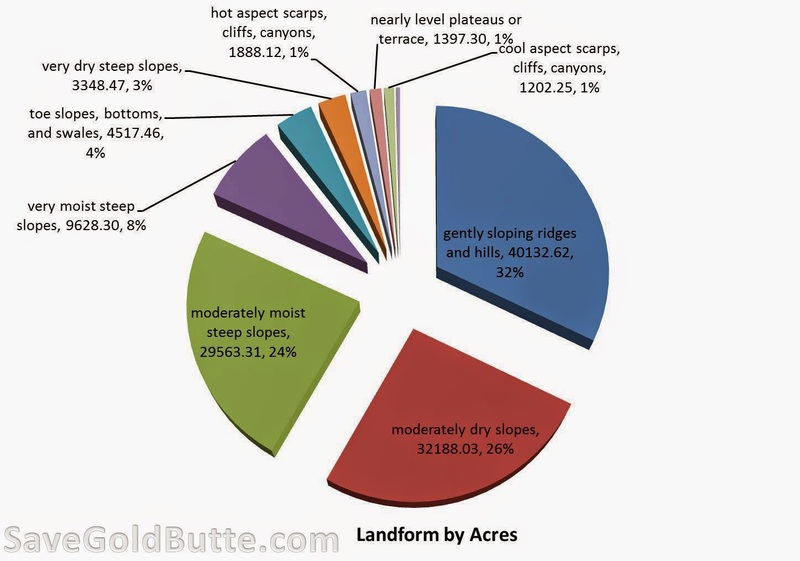 The total size of my study area works out to be 433,714 acres. The next step is to run analysis on the same data that I did in step one but for the whole area of interest. This will then allow me to compare the results of the burn area against the whole study area and then find trends and spatial correlations between all the data. The occurrence of wildfires on our public lands is an ever increasing threat. 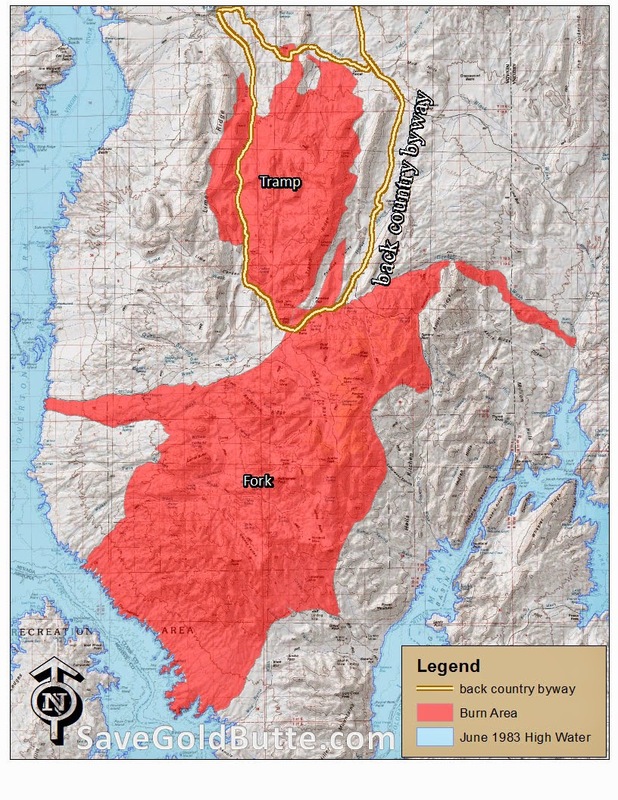 Generally when we think of a wildfire the scene of a heavily timbered mountain landscape comes to mind, however today wildfires are reaching father into previously unaffected ecosystems including our own desert backyard. 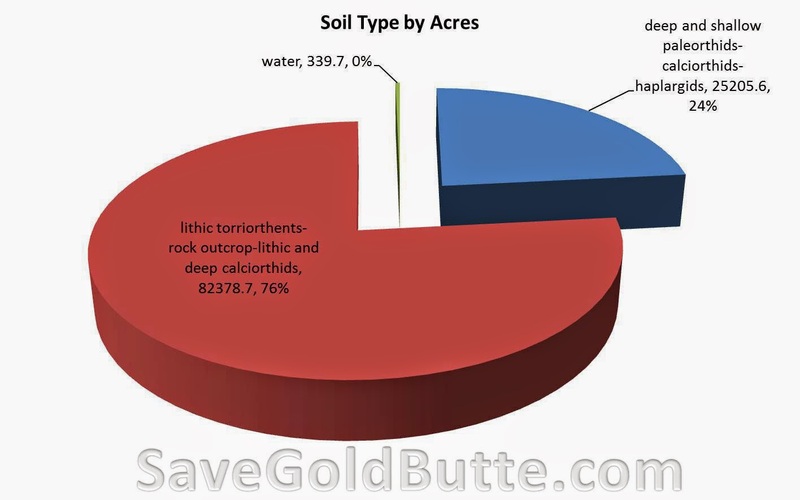 According to the BLM’s records, prior to 2005, there is no documented occurrence of a wildfire in the Gold Butte region. In June of 2005, following heavy spring rains, there was a large wildfire in the Gold Butte region started by a lightning strike. 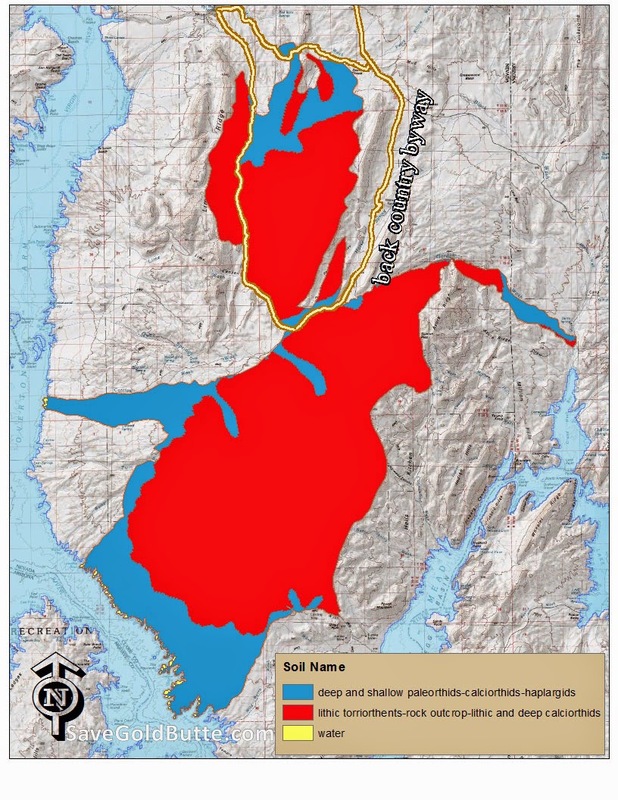 In my goal to implement better community stewardship of our public lands, I am working to better understand the wildfire events that have occurred in the Gold Butte region. I do this in the possibility of better management, from better understanding, of our desert landscape. Through a better understanding of our environment, we can better manage the devastating effects of another wildfire event on the desert ecosystem. 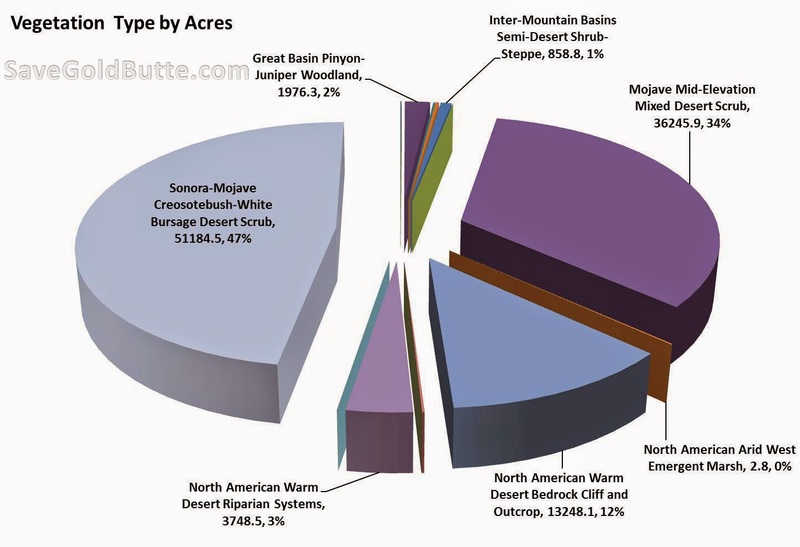 My goal is to build a model that will create a risk index for the Gold Butte region to predict the likelihood of where the next fire will start and spread. The first step in building this model is to understand the landscape of the area that has previously burned. I chose for my area of interest the Fork and Tramp fires. 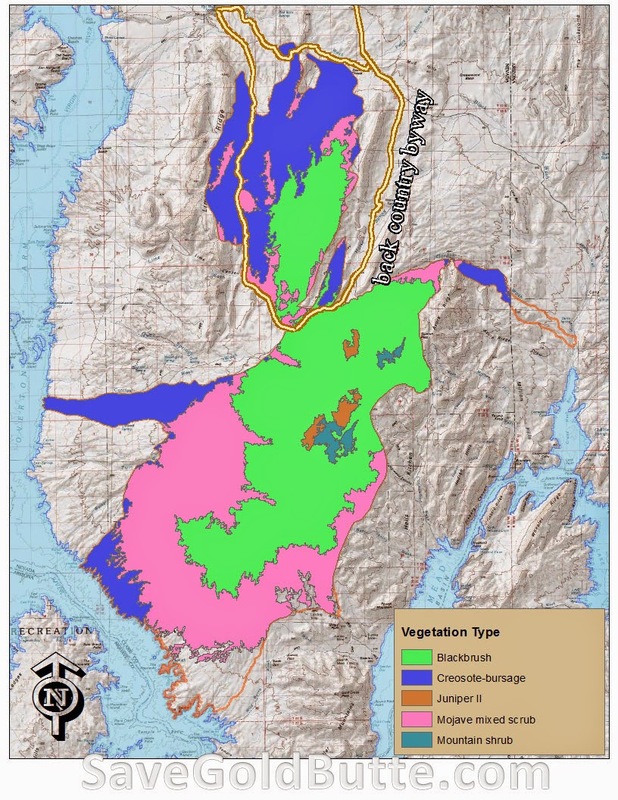 The BLM provides the geospatial data for the location of the burn areas. 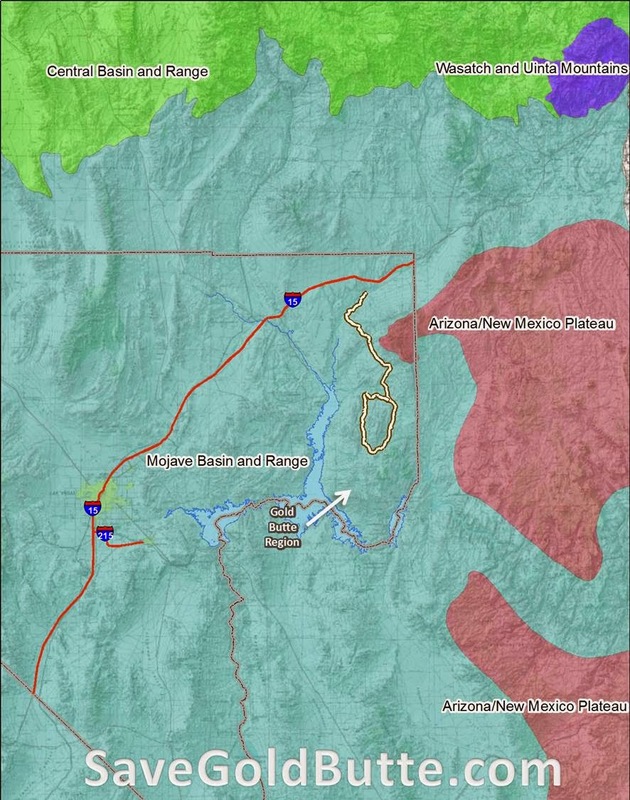 The data that I was able to locate on the web for this area included elevation, vegetation, soils, geology, landforms, average rainfall by year, intermittent washes and roads. The next step is to clip all of this data to the perimeter of the burn area. After the data is clipped to the boundary of the fire I performed spatial analysis to calculate the percent area of each type of feature within the data to see if there is any correlation as to why the fire burned in the area that it did. The following are some of the results that I found. There were two different vegetation datasets that I found so i used both to try and create the best model that I could. I write to you to respectfully express my concern with the enclosed request from a member of the Nevada Congressional Delegation encouraging you to use your authority under the American Antiquities Act of 1906 to designate the Gold Butte area of Southern Nevada as a national monument. As a Senator from Nevada who represents the affected area, unlike my colleague who placed this request, I am extremely concerned about the impact a unilateral designation will have on my state. I am writing to you to express my strong opposition to the use of the Antiquities Act authority in my state, and to underscore the importance of a grassroots-driven, public, and transparent Congressionally-approved process for public lands designations. 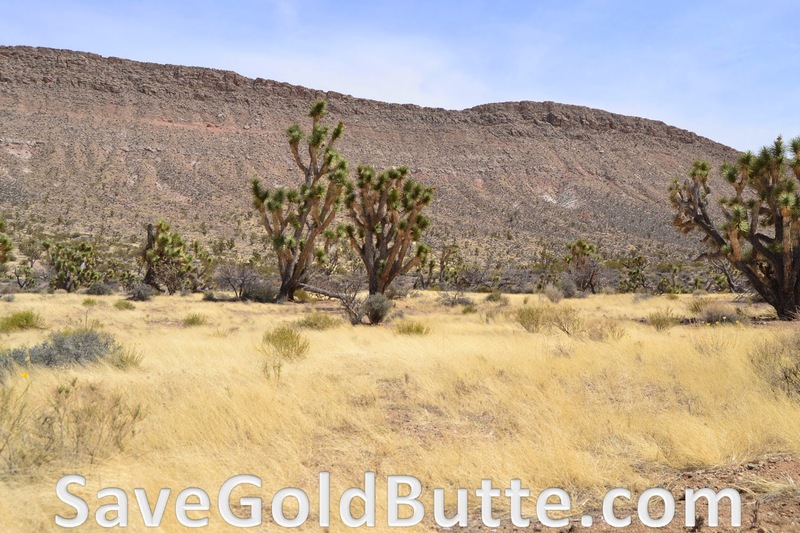 Gold Butte is a natural treasure and a draw for tourism in southern Nevada. While nearly everyone agrees that conservation measures in the area are important so future generations can camp, hike, hunt, and enjoy the cultural resources there, there are strong differences of opinion among my constituents on the policies that can accomplish that goal. When it comes to public lands legislation, I believe local opinion and buy-in within the community is extremely important. At this point, there is significant opposition to the current legislative proposal before the 113th Congress, but the concerns of those opposed ought to be resolved via the Congressional legislative process. 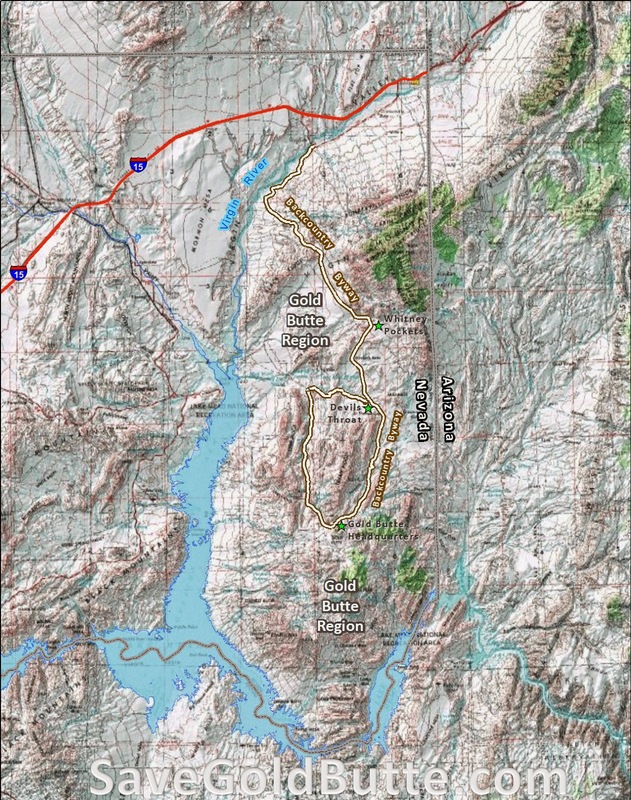 The use of your authority under the Antiquities Act would not serve the area well and would escalate anger and frustrations with the Department of the Interior government in a region of our state where tensions are already presently high. Moreover, the Nevada Delegation has a strong tradition of working in a bipartisan matter to resolve issues pertaining to the management of our public lands and of advancing legislation that protects our environmentally sensitive areas while facilitating sustainable economic development in our communities. As you may know, over 85 percent of the lands within our state are administered by the federal government. As a result, our Congressional Delegation is frequently approached by local elected officials, stakeholders, and other impacted individuals that we represent and are asked to work with them to develop legislation to improve public land management. In this Congress alone, our delegation has introduced over ten Nevada-specific public lands bills that have the support of the bipartisan members that represent the affected areas. In each case, the details of those proposals were hashed out in an open and transparent process. Accordingly, they all have garnered near unanimous support within the affected communities. 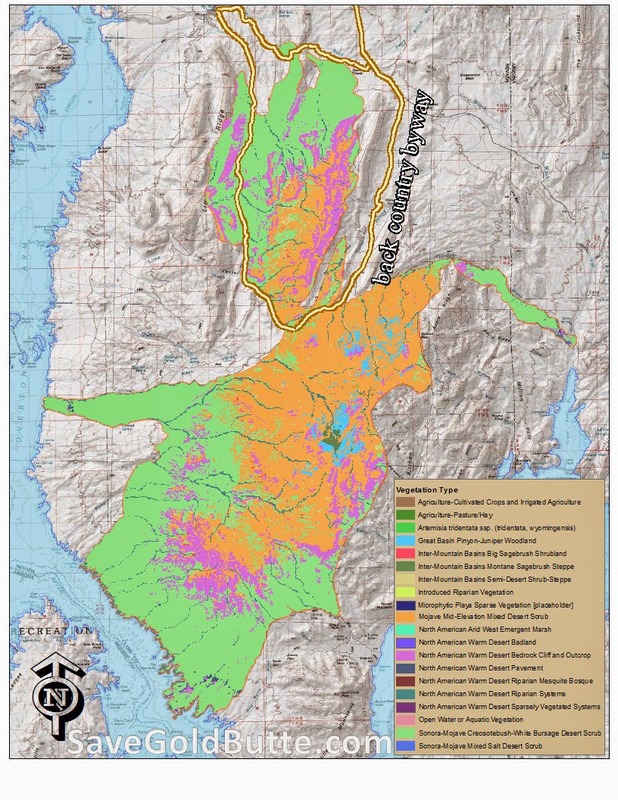 These proposals include the Lyon County Economic Development and Conservation Act of 2013 (S.159), the Las Vegas Valley Public Land and Tule Springs Fossil Beds National Monument Act of 2013 (S.974), and the Pine Forest Range Recreation Enhancement Act of 2013 (S.342). It is important to note that both the Senate and House of Representatives have both taken varying levels of legislative action on these conservation bills, and I am optimistic they will be sent to your desk for signature before the end of this Congress. In conclusion, I strongly urge you to abandon any proposal you are considering to make a land designation under the Antiquities Act in the State of Nevada. 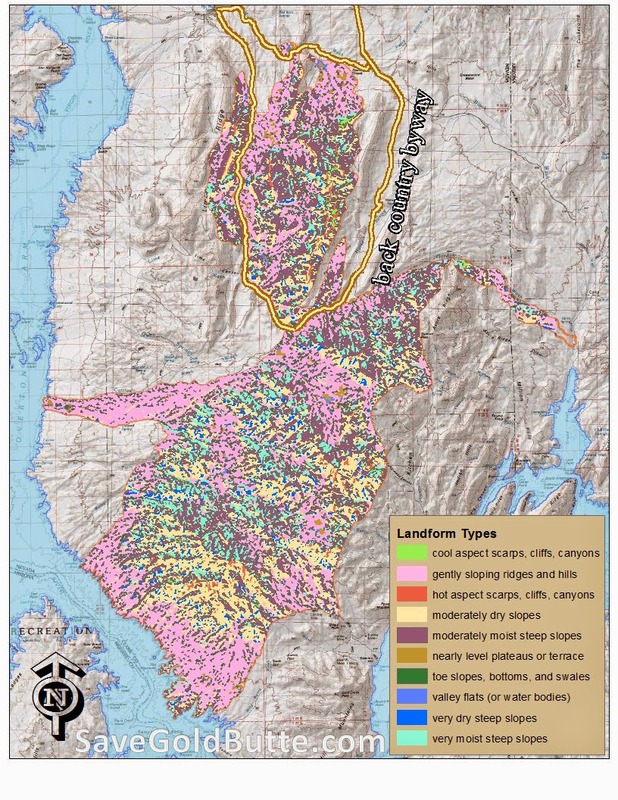 New land designations ought to be considered in the open and public Congressional process so all parties, including those who support and oppose the measure, have an equal opportunity to voice their concerns. I strongly believe that if any action is taken on this matter it should be by Congress reflecting the will of the affected local community. I have always approached public lands issues in that manner while in Congress, and remain committed to advancing public lands legislation across my state via that important process. Thank you for your attention and consideration of this important request. Please do not hesitate to contact my office with questions.